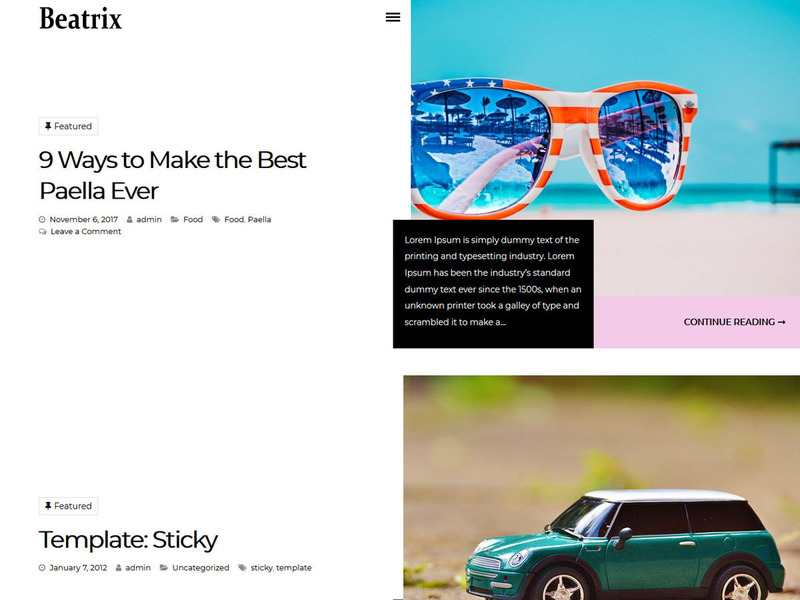 Beatrix Lite is a beautiful WordPress blog theme for personal blogs. Beatrix Lite has a modern, clean and elegant look and lots of customization for bloggers. Built on the latest technology of WordPress, Beatrix Lite is lightweight, fast and optimized for all mobile phones..